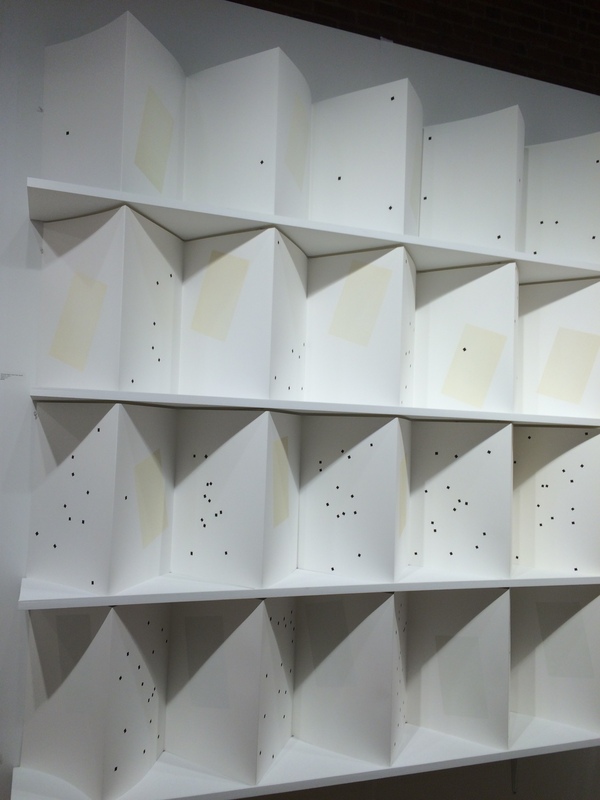 This week there are numerous art fairs in NYC that emphasize prints and artist’s books. I am participating in the E/AB fair with the letterpress publisher Purgatory Pie Press. 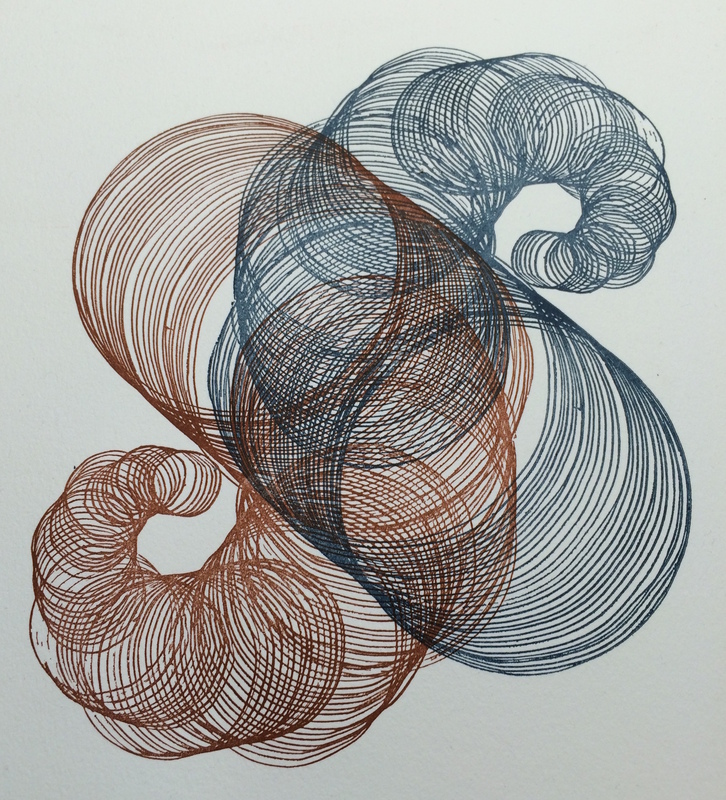 We are exhibiting the first of series of three prints based on my Fibonacci Spiral drawings. Using an algorithmic process of folding and tearing double-sided prints, we have made an edition of a book called “Galactic Collision, Fibonacci Spiral”. 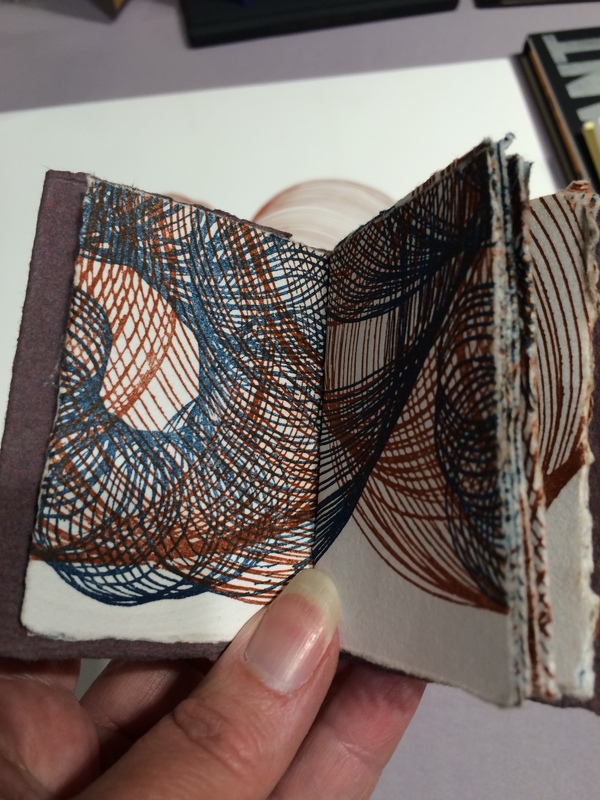 This book breaks up the spiral patterns into small segments of the curves. Bernard Chauveau Editeur brought some very interesting work from Paris including “Mineral Skin”, a limited edition cut and folded paper sculpture by Arik Levy. 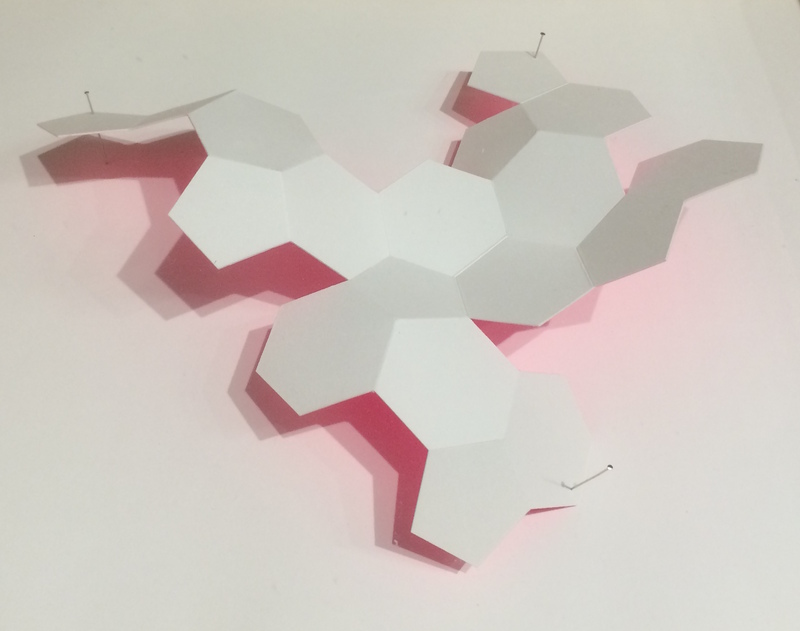 “Mineral Skin” is a single sheet of paper that has been cut and folded to create a surface of pentagons and hexagons. At the Wingatestudio booth Sebastian Black’s large scale accordion books are on display . “Period Piece, Simple Sequence” is a series of two sets of counting books. The first starts with one randomly placed black square on the first page. Each subsequent page has one more square, up to ten squares. The second set begins at eleven square marks and continues up to twenty. There is a very diverse collection of work at the E/AB fair and I was quite pleased to find some work with mathematical themes.